I don’t know about you, but nothing lights up my eyes more than seeing an unlimited spread of food I love. Planning a team meal can be difficult, and a quick way to reward a hardworking team with different taste preferences is to bring them to a buffet. There is no better time than now with Chope and Visa’s 1-for-1 buffets. All you have to do is head down to Chope’s website and purchase a deal. Plus, if you have a Visa card, you can get an extra $10 off! With prices starting from $4.90++ per person, these all-you-can-eat buffets will leave you hankering for more. 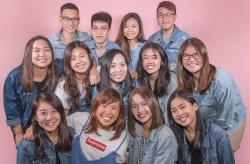 Having suffered from a bad case of FOMO thanks to all the Instagram photos I’ve seen, I can now finally say I’ll be making my way down to Triple Three Restaurant with the Chope promo in tow. Convince your boss to let you guys off for a few hours for their Lunch Buffet (U.P. $78++ for Mon-Sat, $118++ for Sun), or make a beeline straight from the office for their discounted Dinner Buffet (U.P. $88++ for Sun-Wed, $108++ for Thur-Sat). There’s no 1-for-1 for dinner, but you can get 50% off for the second diner! Depending on what makes your mouth water, watch out for their dinner specials and plan ahead of time. Get unlimited servings of foie gras on Tuesdays, Kumamoto wagyu on Wednesdays, and lobster mentaiyaki on Fridays and Saturdays. If gluttony is one of the seven deadly sins, it’ll have me dead already with the 1-for-1 dinner buffet promotion at Seasonal Tastes. Satisfy a fussy eater with their top-notch all-you-can-eat spread. From now till 30 April 2018, Seasonal Tastes is running their Clawsome Feast Buffet (U.P. $88++) dinner that features unlimited servings of fresh seafood; think plenty of seafood on ice, as well as sashimi and lobsters. If there’s someone in the team who’s not a fan of seafood, no worries. There are pasta dishes as well as roasts that can please their taste buds. Top that off with a view overlooking the shipping port and have a meaningful chat while looking into the horizon. Seafood lovers can eat, drink, and be merry at Four Points Eatery. Their Oceania Seafood Buffet Lunch (U.P. $49.80++) comes with plenty of fresh catches, including mussels, crabs, and prawns. 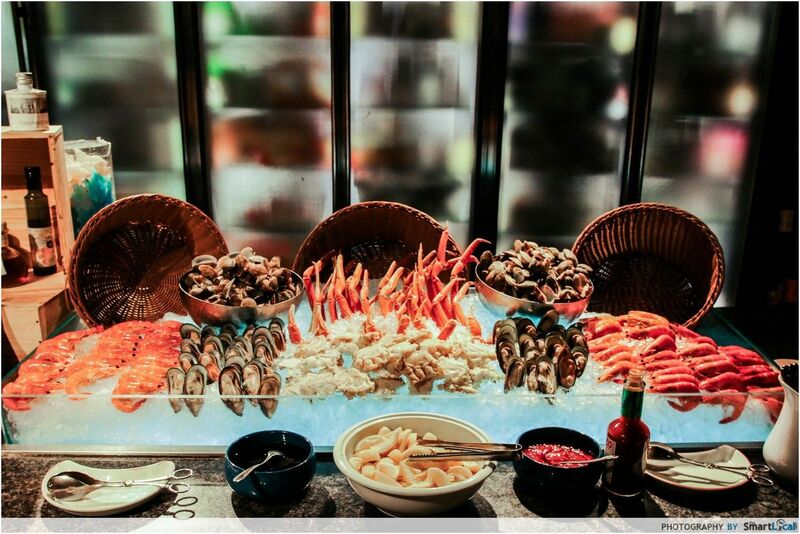 But if you’re really looking to dig in, go for their Oceania Seafood Buffet Dinner (U.P. $60++ for Mon-Thur, $63++ for Fri-Sun) or the Oceania Seafood Buffet Sunday Brunch (U.P. $65++ with free-flow Prosecco or Moscato). 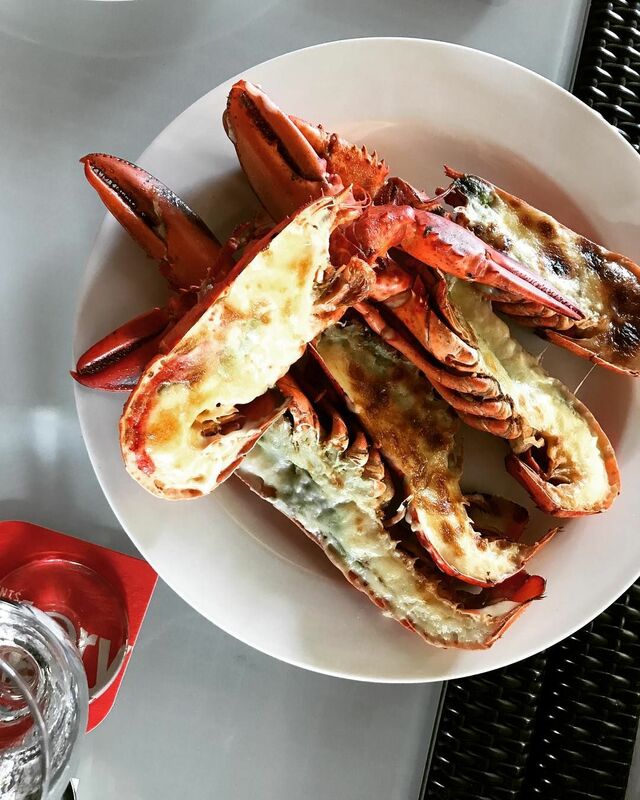 These will give you access to their oyster bar, and those who opt for the dinner can even get half a portion of grilled Boston lobster each. No matter which deal you get, you’ll receive a free glass of Tall Tale Pale Ale – a craft beer brewed locally by the hotel’s lobby bar. So cheers to plenty of seafood and good booze, ‘cause at the end of the day, your wallet’s not going to suffer too much thanks to the 1-for-1 deal! While the curtains have closed on Zouk at Jiak Kim Street, age has also caught up with me. I would rather spend my night at Holiday Inn Singapore Atrium feasting at a buffet, than to elbow for cheap pre-drinking booze. Atrium Restaurant serves up an international Lunch Buffet (U.P. $64++) on weekdays, High-Tea (U.P. $70++) in place of lunch on weekends, and a Surf and Turf Dinner Buffet (U.P. $88++ for Sun-Thur, $98++ for Fri-Sat) daily. 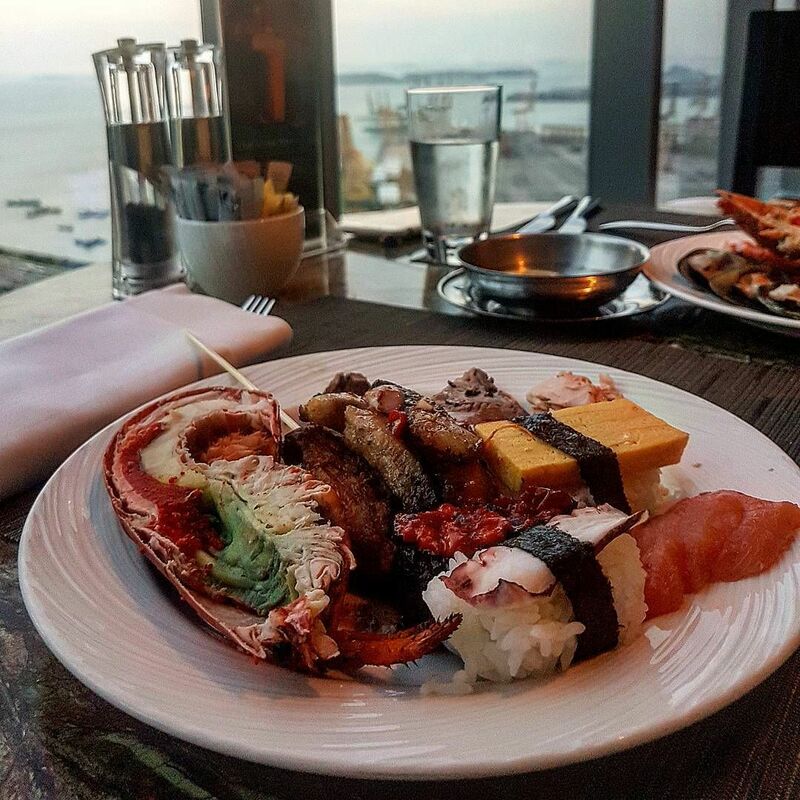 The Surf and Turf Dinner Buffet offers a cold seafood bar including oysters, mussels, and sashimi, but they are more known for their cooked dishes. Things worth piling your plate up for are their chilli crayfish, laksa, and unique mussel otah. Pop by on weekends for some Boston lobsters! Located at Bras Basah, Cafe Mosaic makes a convenient choice to hold group gatherings at. Aside from seafood on ice, their Buffet Dinner (U.P. 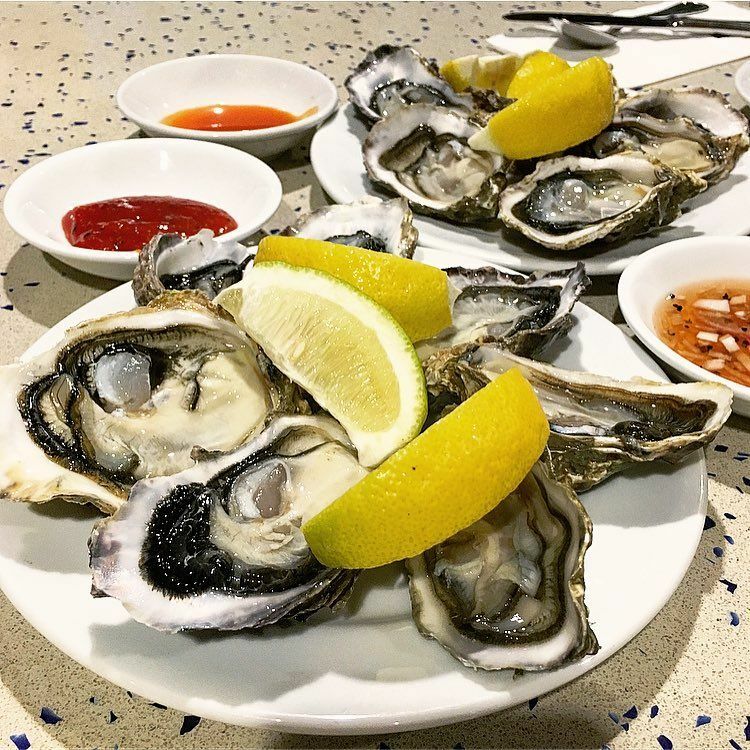 $88++) also includes an oyster bar where you get to hand-pick these shelled aphrodisiacs to be freshly shucked. Other highlights include their finger-lickin’ good black pepper crayfish and salmon sashimi. If you’ve got colleagues who are more into hawker dishes, they’ll be thrilled by the restaurant’s laksa, satay, and DIY rojak station where they can make their own you tiao-only rojak. End the feast on a sweet note with Cafe Mosaic’s range of cakes and pastries. A barbecue party is always a great idea – until you become the designated person at the grill. Have your food grilled for you à la minute at Cocobolo Poolside Bar + Grill and engulf yourself in the aromas of what is being cooked. 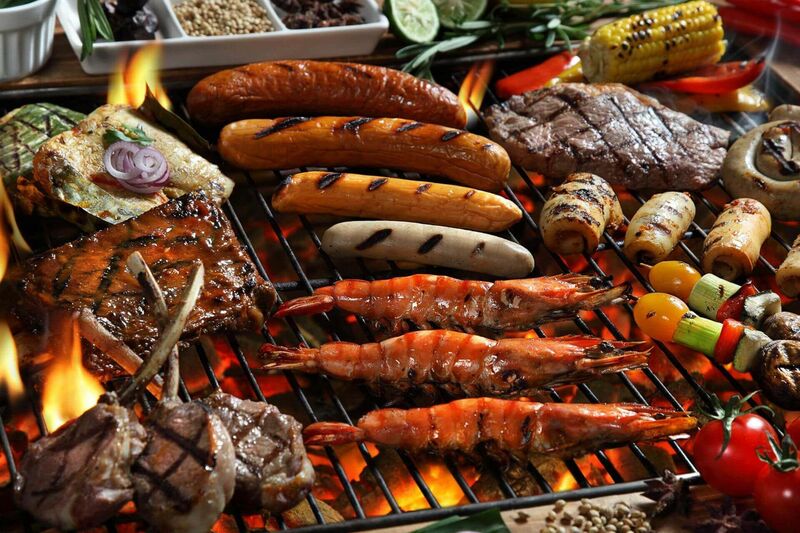 Must-orders for their Weekend Barbecue Buffet Dinner (U.P. $68++) include New Zealand steak, cajun-spiced tiger prawns, and mackerel grilled in banana leaf. Before the image of mum nagging slips into mind, have some of the vegetables that are grilled till sweet. Sensorial pleasures aside, the proof of the pudding is as always, in the eating. As a meat lover, I would always order char shao shao rou fan (char siew and roast pork rice) at a hawker stall rather than settling for just one meat. And The Carvery’s Meat Buffet (U.P. 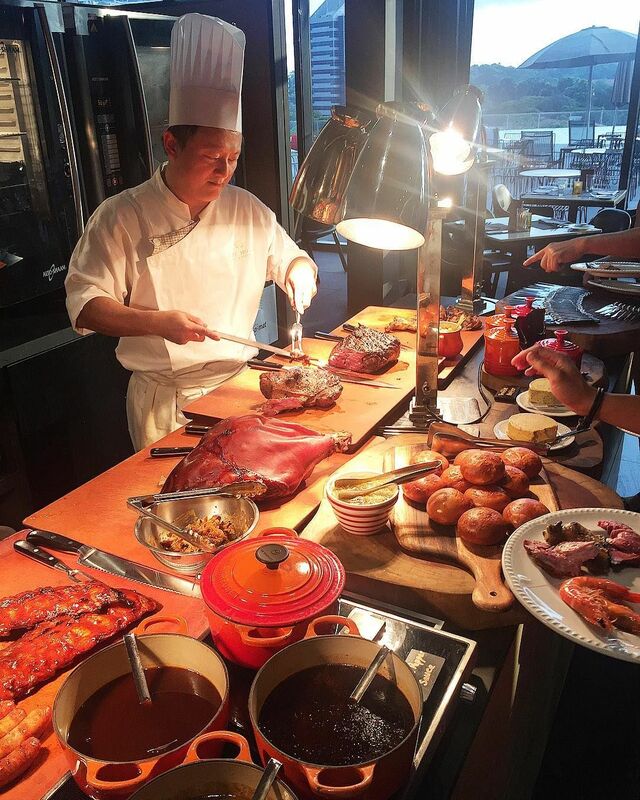 $38++ for lunch, $56++ for dinner) satisfies my carnivorous side by offering an island of top-quality meats. A crowd-favourite is their Iberico Pork Belly Porchetta. When you bite through them, the first sensation is the loud crunch from the crackling, then you’re into succulent meat followed by juicy bursts. If you consider yourself a carnivore, you can’t miss out on their unlimited servings of Dry-aged US Black Angus Prime Rib and Aberdeen Angus Beef. Deciding on what to eat is always a chore, but if there is one thing that everyone can agree on, it’s probably a shared affinity for Japanese food. 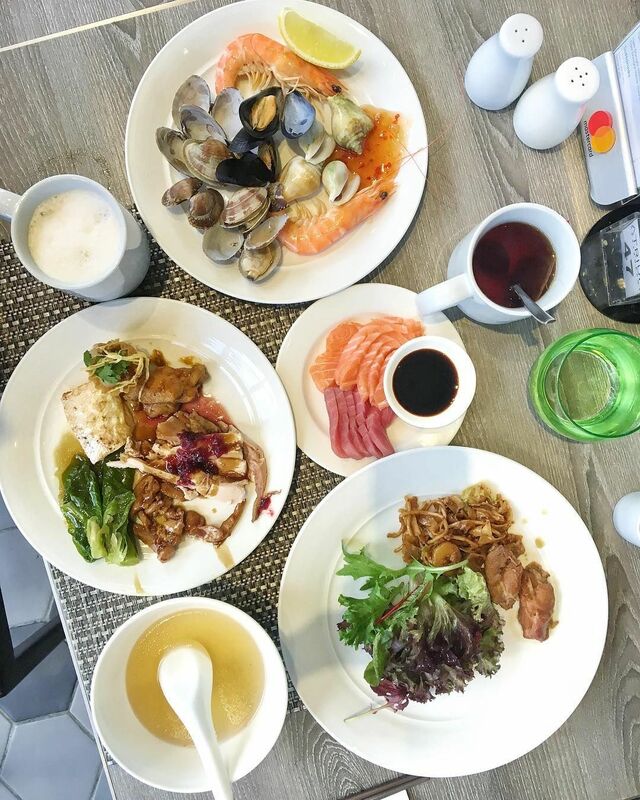 With over 100 dishes to choose from in their weekday Japanese Ala-Carte Buffet (U.P. 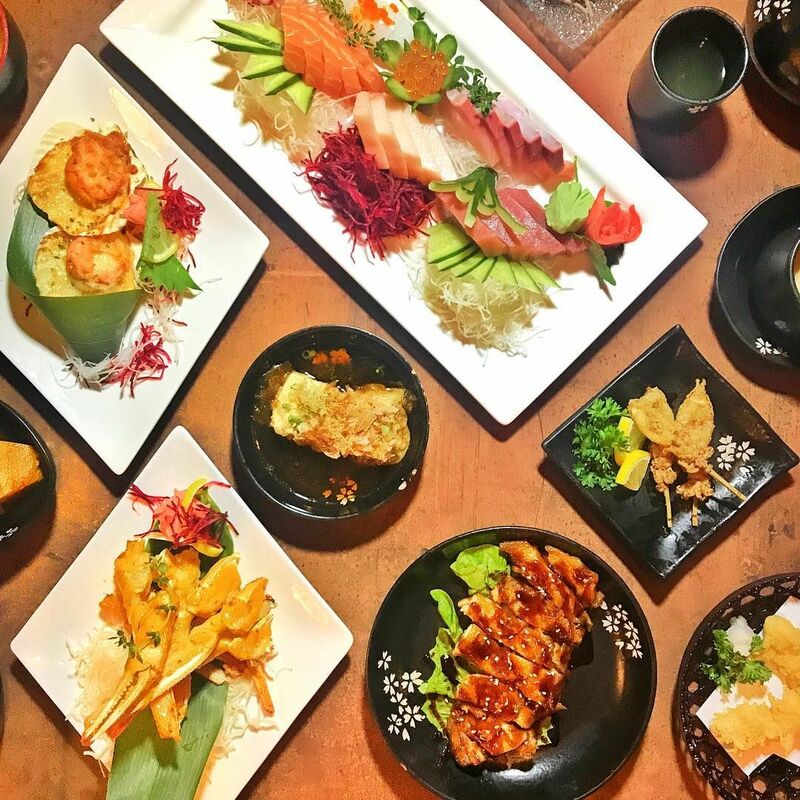 $41.90++), there’s something for everyone at Shin Minori. Sashimi addicts can have their cravings satisfied with the unlimited supply of salmon, tuna, and more, while those who like their food hot can select from the teppanyaki or yakimono (grilled food) menu. Some unique must-tries are Fancy Unagi Sushi and Pumpkin Chawanmushi. You can get yourself a plate of phad thai at $5, or you can enjoy an unlimited supply of Thai food at only $4.90++ per person with Chope and the Visa discount code at Talay Kata. Their Thai Seafood Barbecue Buffet Lunch (U.P. $19.80++ on weekdays, $28.80++ on weekends) gives you free-flow Thai dishes such as green curry and papaya salad, on top of mookata. If like me, you’re a fan of all things salted egg, get their salted egg soup base that will pair well with their range of seafood such as crab, scallops, and prawns. Other choices for soup include tom yum, chicken, and bonito. 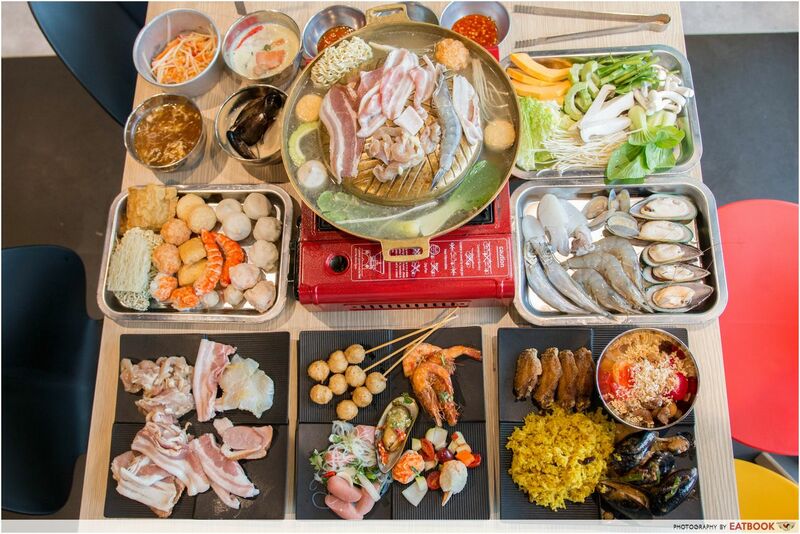 The 1-for-1 only applies to the lunch buffet, but Chope gives you a good 30% off their Thai Seafood Barbecue Buffet Dinner (U.P. $29.80++ for Mon-Thur, $35.80++ from Fri-Sun) as well. Check out our full review of Talay Kata! We Singaporeans love getting our hands on promo codes, and I’m not just talking about the Uber and Grab ones. Get a further $10 off your 1-for-1 buffets when you pay with a Visa card. All you have to do is key in the first six digits of your Visa card followed by “VISABUFFET” while purchasing the deals on Chope’s website. 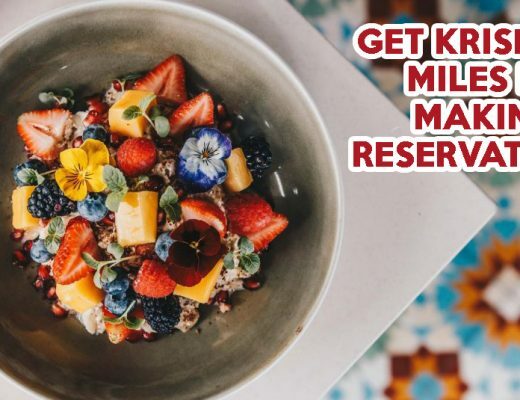 Other than these attractive 1-for-1 buffet deals, you can also enjoy discounts of up to 25% on buffets at 13 other restaurants including Crystal Jade Kitchen, Ash & Elm, Hai Tien Lo, and Edge at Pan Pacific Hotel! You know how fast these 1-for-1 deals get snatched up when news spreads like wildfire. This promotion ends on 31 December 2018, but the promo code to get an extra $10 off is only valid for the first 2,000 redemptions. 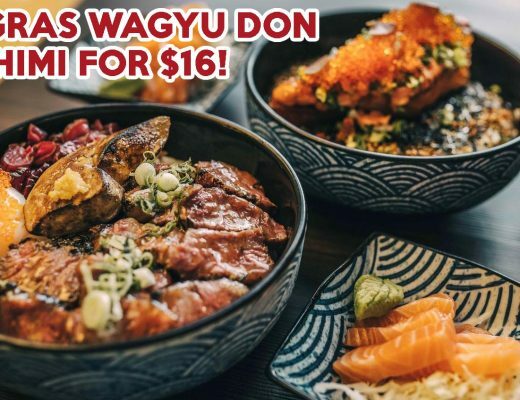 So hurry jio your colleagues to a good feast with these deals! 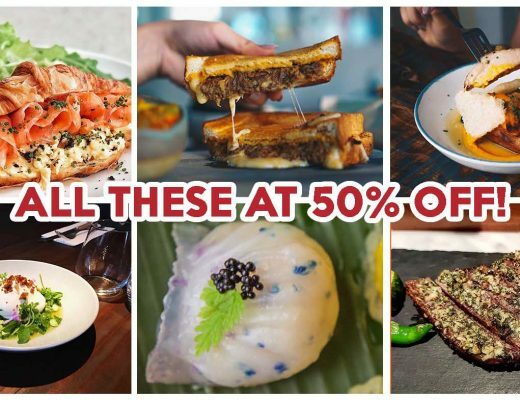 Check out the full list of buffet deals on Chope!